The Building Stronger University initiative (BSU) is unique as it fills the gaps in institutional capacities at universities in the South that no other initiatives have focused on. BSUII involved new thematic foci and a fresh round of matchmaking processes that brought together researchers from Danish University Consortia and from universities in the South. 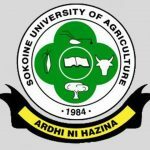 The project is implemented in cooperation between Sokoine University of Agriculture (SUA) and a Consortium of Danish Universities (CDU).